This region in the Sierra Sur of Oaxaca has a long tradition of sheep's wool crafts, so it was easy for artisans here to work with cotton. Currently 300 women from villages and ranches deseed the cotton brought from the coast, card it and spin it all by hand in their homes. 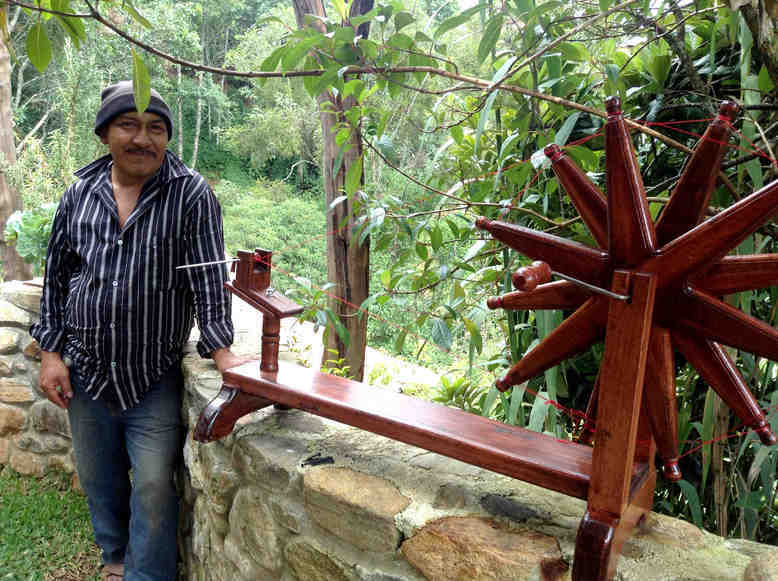 Local carpenters replicate the spinning wheel designed by Gandhi for every artisan to have her own. 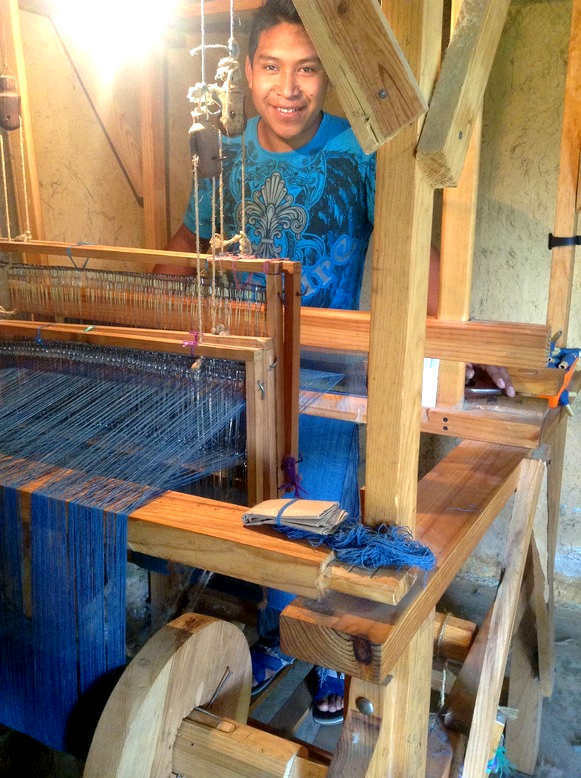 There are two types of hand weaving used in the village, pedal and backstrap loom. Both of them yield wonderful textiles. Once the fabric is ready, Kalindi designs the different clothes and embroideries.